The Canyon Creek Lakes and Boulder Creek Lakes are likely the most popular backpacking destinations in the Trinity Alps, and for good reason. The trails have everything a backpacker wants: roaring creeks with waterfalls, verdant meadows, abundant wildflowers, deep, rock-ringed lakes, and towering granite peaks. 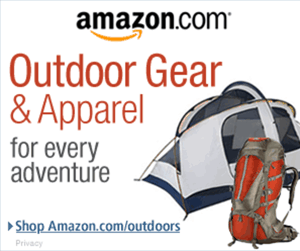 This post provides everything you need to find the trailhead and hike the trails. The smaller of the Boulder Creek Lakes. 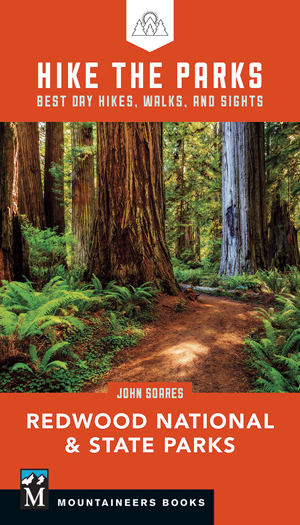 Below I share an updated version of the trek from my book 100 Classic Hikes: Northern California, fourth edition (new in 2018). I also include several photos I took when I backpacked here in June of 2014 with my partner Stephanie. Note that was a year with abnormally low snow pack; don’t expect similar snow conditions in typical June months. In fact, in some years, all of these lakes are still covered in snow in late June. 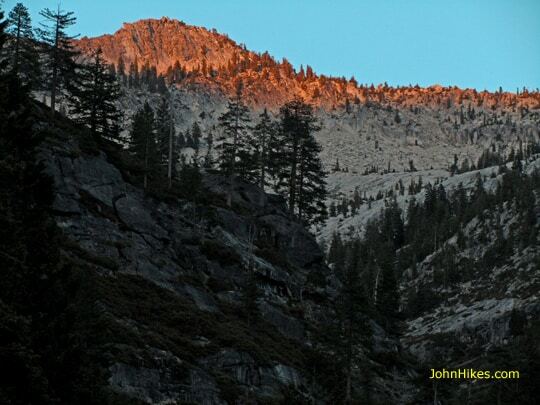 Go here for current Trinity Alps trail conditions and trailhead road access reports. Surround yourself with steep, jagged granite peaks. Sunbathe on flat, house-size granite slabs. Wander through lush meadows. Swim in deep, cool lakes. 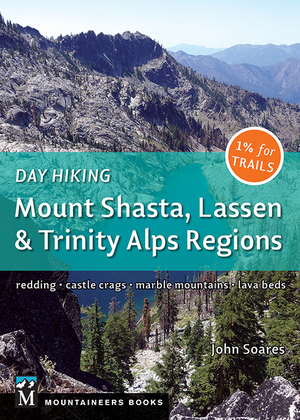 This trip offers all this and more as it takes you deep into the Trinity Alps. It’s also a very popular trek, so try to avoid weekends, especially the three- and four-day variety. Note that campfires are forbidden not only at the Canyon Creek Lakes and the Boulder Creek Lakes, but also in the areas from 500 feet beyond the junction of the Canyon Creek Lakes Trail/Boulder Creek Lakes Trail, all the way up to both sets of lakes. Ideally you should camp around this trail junction or in one of the many campsites farther downstream or upstream, and then day hike up to the lakes. Note that all backpackers must have a California campfire permit, if they plan to have a campfire. You will also need a wilderness permit. These are available 24/7 at the Weaverville Ranger Station, Scott River Ranger Station, Big Bar Ranger Station, and the Coffee Creek Ranger Station. For more information, call 530-623-2121. That’s me at Lower Canyon Creek Lake checking out Wedding Cake and Thompson Peak. Excellent photo by Stephanie Hoffman. Take Highway 299 to Junction City, 8 miles northwest of Weaverville, and then turn east 75 yards southeast of the Junction City bridge onto Canyon Creek Road. Drive 13.2 miles on the paved road that follows Canyon Creek to the Canyon Creek trailhead. The trail starts level amid ferns, dogwoods, bigleaf maples, madrones, Douglas firs, and canyon live oaks. It crosses Bear Creek at 0.3 mile and then steepens. Pass a trailside madrone tree at 0.8 mile and gently climb through a forest of ponderosa pine, black oak, incense cedar, and more madrone. Take the 10-yard spur trail to the left at 2.4 miles for a commanding vista of the sprawling basin, which contains a white-water stretch of Canyon Creek far below high granite peaks. At 2.8 miles, consider the 0.2 mile side-trail option to The Sinks, a series of swirling pools in Canyon Creek. Otherwise, bear right, climb past a lichen-carpeted granite rock wall, and ascend a series of switchbacks that crosses the same tributary three times. Watch for a viewpoint on the left at 3.9 miles, where you can admire a small waterfall cascading into a round, clear pool. Look for Lower Canyon Creek Falls crashing into a deep pool a short distance downstream. The trail climbs gently past a fern community for 0.8 mile and at 4.9 miles enters a small corn lily field in Canyon Creek Meadow. Cross several tributaries bordered with wildflowers and pay attention to a short use trail that leads to the base of Middle Canyon Creek Falls. From here, climb through forest as you pass numerous camping spots until you reach a trail fork at 6.1 miles. The left trail goes 2.4 miles to Boulder Creek Lakes (description below). Note that there are more campsites in the vicinity of this trail junction. This drainage holds a difficult cross-country route to Smith Lake, one of the Trinity Alps’ most difficult lakes to reach. Sunset view from our campsite. For now, go right to the more-visited Canyon Creek Lakes. Climb through a 0.6-mile stretch of open forest with more campsites, followed by magnificent, misty Upper Canyon Creek Falls. The final leg to Lower Canyon Creek Lake gradually switchbacks between granite boulders and across granite slopes (follow the rock cairns) and crosses Canyon Creek, passing a few good campsites along the way, before reaching the lake itself at 7.1 miles. Be very careful crossing Canyon Creek, especially during periods of high water flow. Lower Canyon Creek Lake in the Trinity Alps. Wedding Cake and Thompson Peak cap the far skyline. 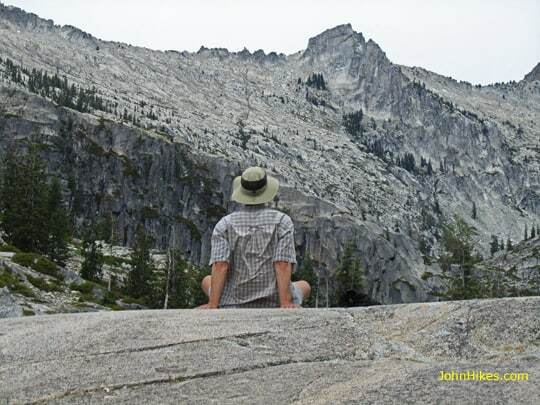 Follow rock cairns along the west side of the of the deep-blue waters of Lower Canyon Creek Lake and climb a quarter-mile to an excellent view down on Upper Canyon Creek Lake and up at Sawtooth Peak jutting abruptly to the east. Continue near the shoreline and carefully cross the outlet stream to reach the eastern shore of Upper Canyon Creek Lake. From here you’ll have magnificent views of the meadow surrounding the higher reaches of Canyon Creek and the towering granite peaks and ridges to the north, including Thompson Peak, the highest mountain in the Trinity Alps at 9,002 feet. Upper Canyon Creek Lake in the Trinity Alps. Continue northeast to El Lake from Upper Canyon Creek Lake’s north side. 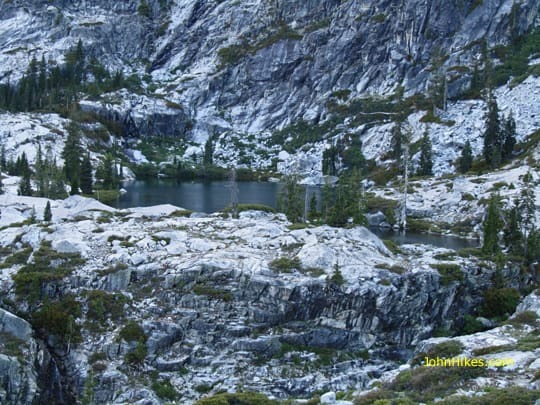 The moderate 1-mile-long climb requires following rock ducks and faint path segments that lead directly to the lake, which is tucked into a narrow, glacier-carved slot bordered by steep granite. Seldom-visited El Lake has a few campsites on the west side; make sure to choose one far from the water. Explore the meadows next to the north shore that encompass a circular pond. For the 2.4-mile climb to the less-visited Boulder Creek Lakes, retrace your steps to the trail junction you reached at 6.1 miles. Wade Canyon Creek very carefully, and only do this side trip if you are very confident in your stream crossing skills. Go left on the other side of Canyon Creek. The trail heads southwest past a marsh and then ascends moderately through ceanothus and manzanita chaparral and a few stands of sugar pine, western white pine, ponderosa pine, and incense cedar. It eventually carves steeply through thickets and between granite boulders on the south-facing mountainside, routing you near a steep cliff. Follow the rock cairns near the cliff for another 0.3 mile to the lakes. 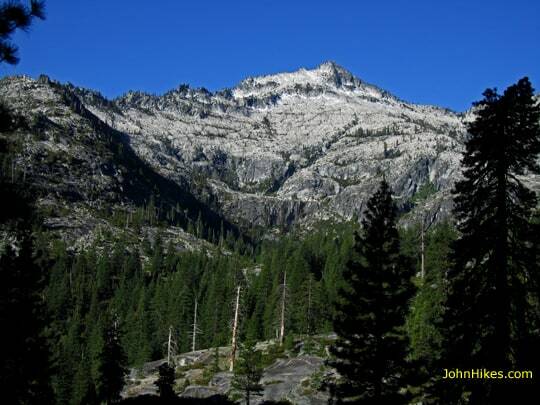 Sawtooth Peak, a major Trinity Alps landmark, viewed from near the Boulder Creek Lakes. Boulder Creek Lakes, nestled in a glacial bowl and surrounded by high granite peaks, feature moist meadows, red mountain heather, yarrow, dwarfed western white pines, red firs, mountain hemlocks, and the rare weeping spruce. Tiny pools and little brooks surround the small lower lake on the southeast section of the basin. Look for powerful waterfalls that pour from large Boulder Creek Lake’s outlet and topple off a granite cliff. The shallow lakes and ponds receive a lot of sun, making long swims in the warm water very pleasant in mid- and late summer. You’ll find a few campsites near the east shore of Boulder Creek Lake; just pick spots that are far from the shore. 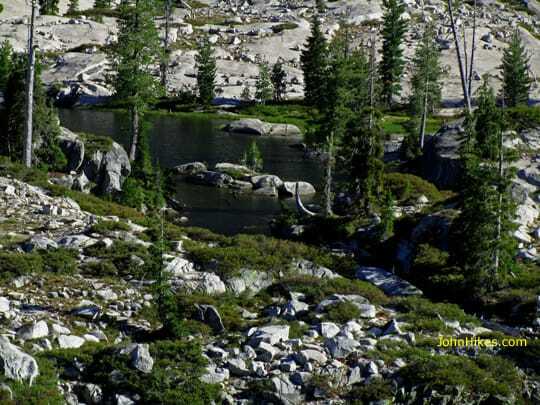 The Boulder Creek Lakes are surrounded by granite. Have you done this trip? What were your experiences? 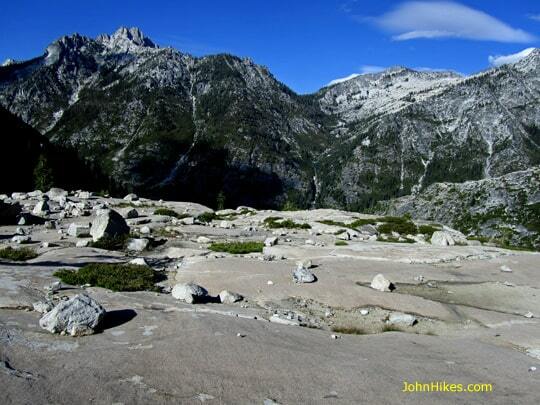 How does it compare with other backpacking treks in the Trinity Alps? Tell us in the comments below. Here’s the map from the fourth edition of 100 Classic Hikes: Northern California. It was fantastic. Many more to come, I promise! I have never been in that area, but it looks fantastic! Hi John. I love the blog, keep the posts coming! I met you last year at Seven Suns coffee in Mt. Shasta. We just got back from a 3 day trip to Grizzly Lake. We are looking for a destination for a 3 day trip in August and were thinking of Big/Little Bear Lakes. Good idea or do you have another recommendation? Thanks! Big/Little Bear Lakes are great. You could camp both nights at Big Bear and then day hike to Little Bear on the second day. Or you could do the trip I describe here! Thanks John, I appreciate the tips. I haven’t been yet but we’re planning a trip out toward the end of the summer. 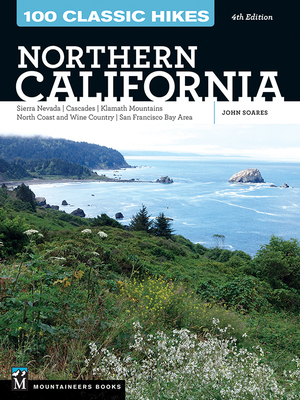 This was an excellent read and gave us a lot of great ideas on how to spend a lot of our California time. Thanks! Those are great photos and beautiful scenery. Thanks for sharing them. Canyon Creek Lake looks absolutely stunning! I love you photos I’ve never hiked northern California but I’ve driven through it. All depends on snow between now and when you go. Call the Weaverville Ranger District for updated info. Are there plenty of places to camp along here? Im trying to decide if I can do this in 2 1/2 days, starting in the early afternoon on day one. Looks great! Allison, there are plenty of places to camp, but you need to get a good 3-4 miles up the trail before they appear. And 2 and a half days is enough time to explore the basin if you’re a strong hiker. I like to camp near the junction with the Boulder Lakes trail and then day hike to the lakes. Both basins get a lot of impact, especially the Canyon Creek lakes, so I prefer to camp away from them. Hi John, I am wanting to go on some trips out there but not alone. Are there ever groups that are willing to go with one or two others? Check MeetUp for hiking groups in Northern California. 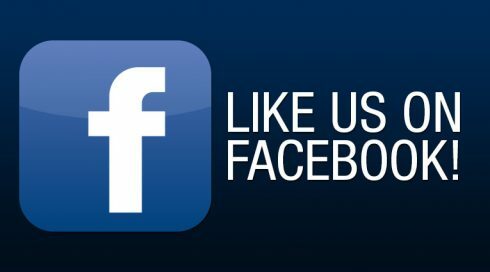 Also investigate Facebook groups for California hiking, and especially the Trinity Alps area. My husband and I are thinking of doing this hike. We would start the hike on a Sunday afternoon and need to leave the parking lot by Wednesday afternoon. Is this doable for this trail? Certainly, as long as you are in reasonably good shape. Have fun! 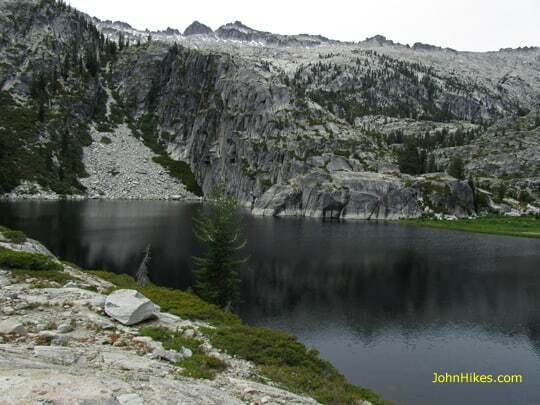 Hi John – about 5 of us are planning a 7 day trip up to the Canyon Creek Lakes area. We had a general question about the water supply up there. We remember from years past some nice creeks, watering pools, and a waterfall in that area. I can’t imagine the lake is dry – but thought the creek might be dried up. Just wondering if you have any information along these lines. I called the Trinity Alps ranger station, but couldn’t get anyone “live”. Pretty sure fire pits won’t be allowed. Any ideas, insight, or suggestions? Thanks! There will still be plenty of water in Canyon Creek and in all the lakes. They never go dry. Fires are not allowed above a certain elevation, so it’s best to plan on no fires at all. Camping at the Canyon Creek lakes themselves is strongly discouraged. 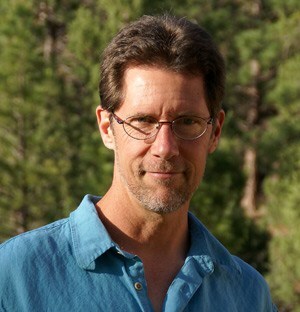 I usually camp in the vicinity of the Boulder Lakes Trail/Canyon Creek Trail junction and then do day hikes from there. You can go beyond to Ell Lake if you wish. This was a great read. A couple friends and I are planning on doing 3 days up there about the same as you describe. We’re going to drive up from the Ukiah area after work Monday and start our hike Tuesday morning, set up camp near the Junction, and just do some day hikes that day and the next, before hiking out the 3rd day. I’ve heard nothing but good things, so we’re pretty excited. Is there usually a lot of traffic on weekdays? Weekdays are far better than weekends, but you’ll still see quite a few people. Have fun! Sounds like you enjoyed yourself, and I really enjoyed meeting you. Just got back from this hike up to the top! Loved it! This was my second trip up and I am looking forward to my next grueling hike up, its so worth it! We camped just below the second waterfall. Hiked up to the top the next night, so breath taking. I am so way out of shape I really had a hard time but made it up and out safely. My sister has been up there about 8 times. She is in way better shape than me. She was my inspiration. Looking forward to my next trip up there its so hard to leave. Tracy, I’m glad you made it all the way. This is one of my favorite hikes in all of northern California. I was blessed to be raised way up Canyon Creek. My family owned a place that on the map was known as grasshopper flat, but we named it Heaven’s Hill. My grandparents, Aunt, Two cousins, a great uncle on grandfathers side, great Aunt on grandfathers side and great aunt on grandmothers side all owned homes up there. My Papa was a Pastor and built a beautiful church up there. My sister and cousins hiked all over those mountains. Especially Canyon Creek Lakes, Boulder Lake, El Lake and then once a summer we’d drive to hike to Tangle Blue Lake. We used to play baseball in the meadow by Ribstein Campground all the time. My Papa baptized many people in Canyon Creek! I loved it up there. Lucky you, Tamara! So few people get a rural upbringing now, and you were fortunate to grow up in one of the most beautiful places in the world. You *might* be able to reach Lower Canyon Creek Lake, but this is quite early in the season. You’ll definitely have a lot of snow if you go to El Lake. You’ll also have to cross Canyon Creek, which will likely be roaringly high. Call the Weaverville Ranger Station: 530) 623-2121 for the latest info. Is my understanding correct that I’ll have to make this crossing no matter what? We’re planning to go the weekend of June 18th, and I’ll obviously call the ranger station first. Are there other backpacking trips (3 nights, ~7 to 8 miles per day) that you’d suggest for this time of the year? Tom, definitely call to find out about flows. You do have to cross the creek, but if you stay on the main path, the crossing below Lower Canyon Creek shouldn’t be that bad (although the crossing of Canyon Creek to the Boulder Lakes could be a different story). Flows will be substantially lower in the morning, before the heat of the day melts snow. Canyon Creek Lakes are very good bet right now for low/no snow. Also consider going up Swift Creek to Mumford Meadows. From there you can go to Horseshoe and Ward Lakes, or head to Landers Lake. You also have the option of taking the Granite Lake Trail. All depends on snow cover, of course. I hiked up to Canyon Creek Lakes the Friday before Memorial day weekend, 2016, and took the side trail up to the Bear Creek Lakes on the way back out the next day (when everyone else was headed in). I thought the hike up to the Boulder Creek Lakes was awesome. It reminded me of the Sierra with all of the granite and clear lakes at the end. I didn’t have enough time to check out the Forbidden Lakes and was planning to go back June 2017. Do you know if their are any sites suitable for camping at the Forbidden Lakes? Any trees suitable for hanging food (PCT method) or should I plan on using a bear cannister (ugh!)? If not, I’ll plan on camping at the largest Boulder Lake, where there looked to be several potential camp sites, and scrambling up to the Forbidden lakes. 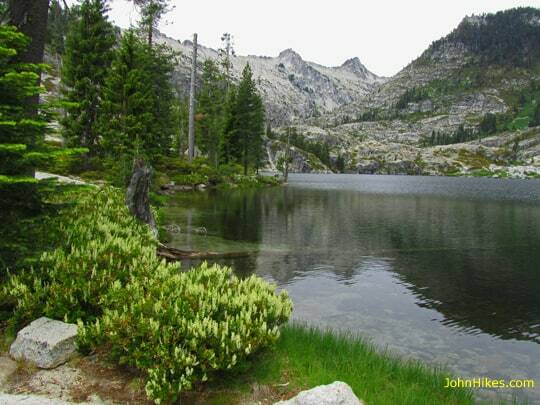 I also love Boulder Lakes; it’s one of the prettiest spots in the Trinity Alps. The Forbidden Lakes are beautiful, but you won’t find a decent campsite there. It’s best to camp at the Boulder Lakes and visit as a day hike. Hello! I recently got into backpacking and was curious if there are any good year round trails in the Trinity Alps or Mt. Shasta area. I’d like to try some winter backpacking and am looking for a good overnight trip. Any suggestions would be greatly appreciated. Thanks! Do you mean backpacking in winter where’s there’s little or no snow? You’ll be looking at lower elevations, typically below 4,000 to 5,000 feet. And, of course, ALWAYS check the weather forecast AND call the relevant government agency for the details of the trip. And be prepared for snow and very cold temperatures. For example, as I write this, much of Washington, Oregon, and California are about to get snow at low elevations and very cold temperatures, probably sub-zero in the mountains. I was there in late June 2014 also! Incredible place! I’m going back in 3 weeks and can’t wait to see how it’s changed now that we had an actual winter. Great photos and description! Thank you for the kind words. Try to go midweek, if you can. It’s very popular! Hi I’m getting ready to hike up to Boulder creeks lake next week! I’ve passed the junction probably 15 times always saying I should go that way but I never do. Really looking forward to the trip and i really appreciate your website here. I was wondering if Boulder lakes are stocked with trout for fishing. I can’t find that info anywhere. Thank you. Jesse, I can’t find info either. Most of the lakes in the Trinity Alps have been stocked in the past, but I don’t know if it’s been done recently. Thanks for the fast reply! I’ll bring my pole and let you know! Bummer that social media and sites like yours have ruined the Trinities. I’ve been backpacking in there for over thirty years and it breaks my heart to go there on any given day in the summer and see the the zoo like circus it has become with all the people and their dogs and poor sanitation practices. Do nature a favor and keep your damn site off the web!